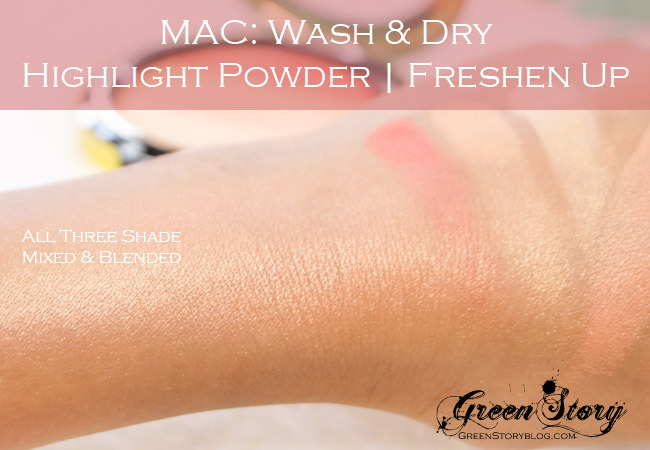 MAC Wash n Dry Highlight Powder, Freshen Up(154RM/$35.50), one of the most anticipated recent release by MAC Cosmetics. 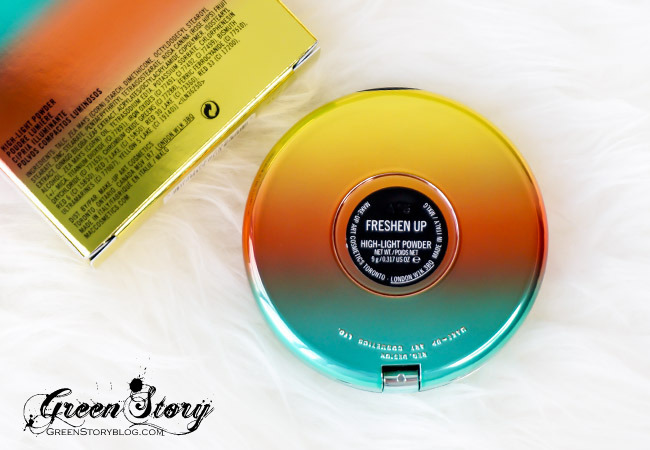 Not only this highlight powder, Wash & Dry collection came up with whole lot of new and couple of permanent product with bright, fund and colourful summer inspired packaging. Just yesterday the collection were released online in North-America and as far as I know they will be available in store from 21st of May. I was lucky enough to get it earlier because here in Malaysia the collection launched in 30th April. From the whole collection I picked the highlight powder, Freshen Up, only. I found this one is the most beautiful and unique product to have in my collection. Our new High-Light Powder features a unique gradation of three shades in one pan, from pastel banana through fuzzy peach to mid-coral. The final look is well polished with a sheer veil of colour that blends effortlessly into the skin. 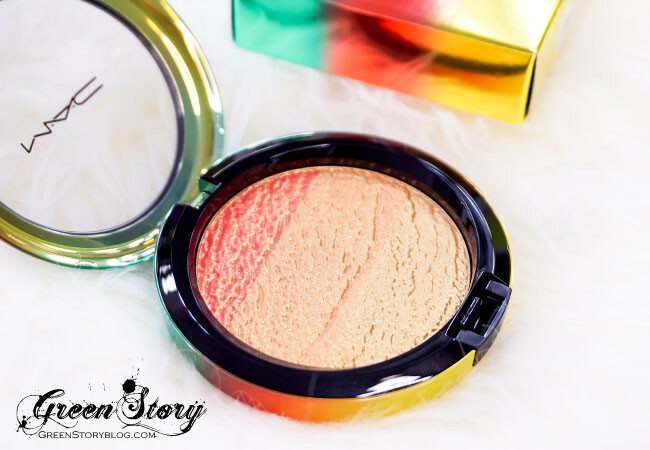 With an embossed design and pearlized overspray, this powder is truly a collector’s piece. Features specially designed packaging. 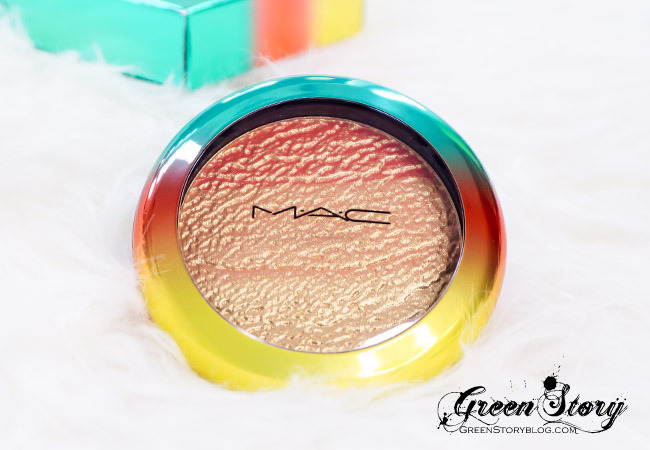 The highlighter pan comes with 9g of product and the whole powder divided in three shade. One is quite vibrant coral, middle one is soft orange-ish coral, last one is soft yellow almost off-gold shade. There was light overspray of gold dust but that goes away after first use. The powder texture is soft and smooth, almost blush like but nothing alike usual highlight powder. They gives sheen but doesn’t give intense light reflecting effect. 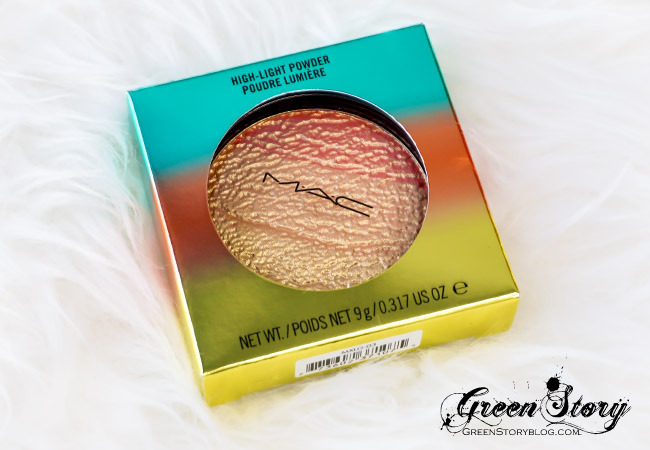 All of them give semi-opaque pigmentation; the coral and orange-ish shade is great to use alone or together as blush and only the lighter shade seems to have some highlighting effect in it. However, When I mix them all and apply with a fan brush then it gives nice sheen in skin. On my medium tan skin MAC Wash n Dry Highlight Powder gives very subtle and natural highlight. To me it is the most subtle highlighter that I own so far and doesn’t really act like usual highlighter. Though MAC named it ‘Highlight Powder’ but I would like to say its a combination of blush and light reflecting powder. However, this powder surprisingly last long in skin without fading. I wore(coral shade as a blush and mixed all to highlight) that last time for almost 7/8 hour and it was there intact till the end. Overall, I absolutely love the colour selection of this powder, undoubtedly this is an unique one with its texture. It screams summer and I see myself wearing this quite often for daily makeup because it looks so natural on skin! 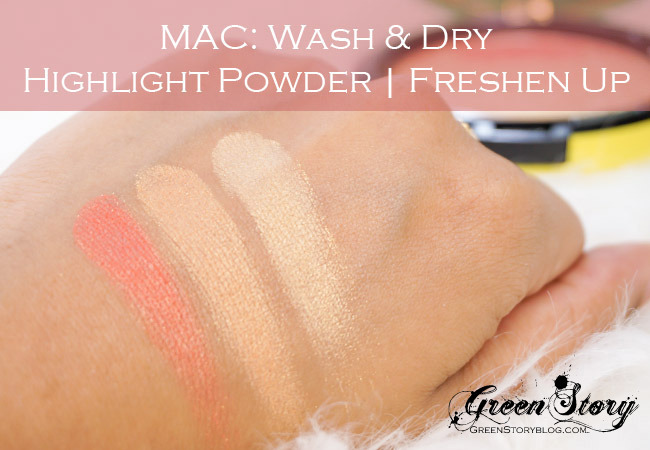 So, have you got anything from MAC Wash n Dry collection or eyeing on something to grab??? the texture of the powder looks good. I am like MAC product and will be tempted to try this next. The packaging is indeed pretty ! 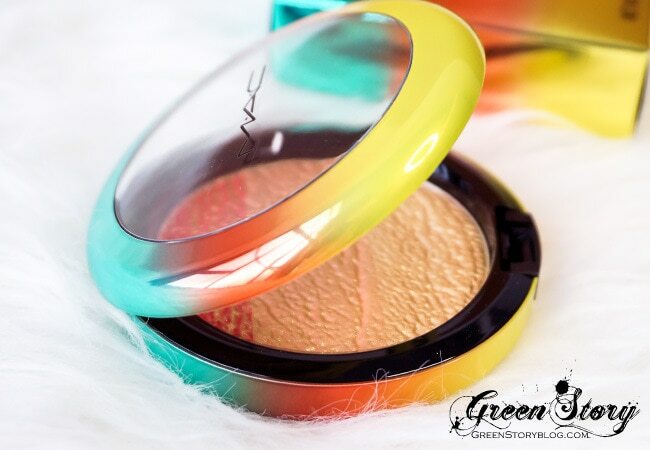 Love how the highlight looks too, but may be a tad too pearly for my taste..
omg mac having new product. again and again. btw nice review hon. ah! i’ll try someday to post my face picture. actually my crappy camera can’t pick bush n highlight color properly… phew! lovely packaging! never heard of this collection from mac at all. the coral shade sure look like it’ll make a pretty blush on its own! I am not really into makeup but I know that MAC is the preferred brand of many makeup lovers. I can how MAC blends flawlessly into the skin. It’s so gorgeous! I was tempted to get it when it came out, but I decided otherwise because I hardly use highlighters anyway. Love the shades,the shade after mixing them is really good! !Nice review.. 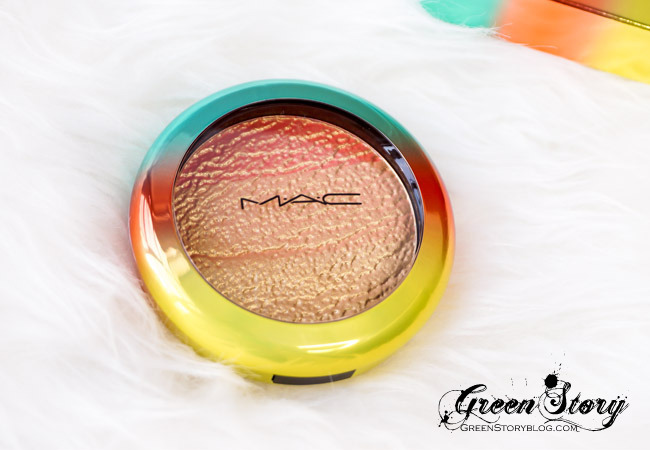 I never really master the use of highlighter but this is one beautiful product! That case!! 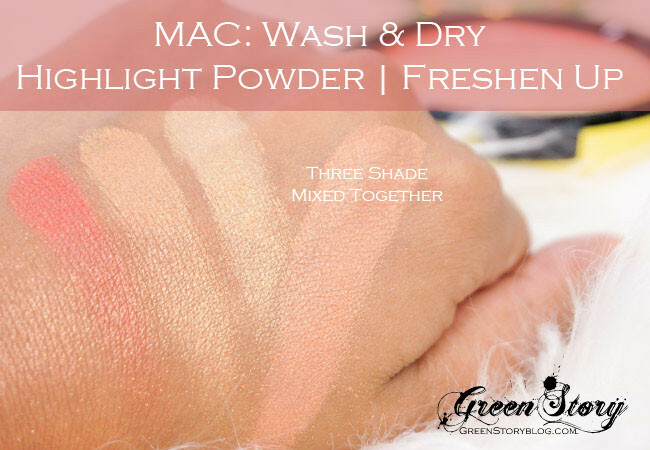 Those are some lovely Highlight powder shades from MAC ! I’ll surely try that peach one. I love it! Totally suitable for muslimah because i’m taking wudhu 5 times a day! This is totally steal my heart! Mac always come out with beautiful range of colour. I love their make up product..